One Piece 895 Spoiler: The last Chapter end with Luffy is down due to Katakuri’s just one attack right before he releases Rhino Schneider second time.…!!! So what happens next..? find out story on One Piece 888 Spoiler Discussion 「ワンピース ネタバレ」 第895話 at Mangaspoiler.com. if you would like to discuss the Spoiler or prediction, please leave a comment below. ONEPIECE Chapter 895: Pirate Luffy VS Commander Katakuri. I hope we see a glimpse of what that special attack was all about and not just the conclusion. Pretty one sided at the moment. Only the fanboys who would vote for Doflamingo. These recent chapters should have made it clear for everyone that Katakuri > Doflamingo. It seems that some people on the forums misinterpreted the spoiler by thinking that Pudding asks Sanji to quit smoking. From what I understand is that Pudding wishes to kiss Sanji. It is Pudding’s wish. That is why Pudding asks Sanji to take away his cigarette. And 9 months later Pudding will show up breastfeeding little Duval. Yes, but it seems that the scene will be off-screened. Smoothie keeps attacking the Sunny and Jinbe keeps dodging. Nami says at this rate she’ll eventually hit the ship. She wakes up Zeus and uses him to take down Smoothie and her entire fleet. Smoothie being the tallest gets the brunt of the attack. Luffy walks out of the mirror and notices he’s surrounded. Everyone’s shocked Luffy walked out with a defeated Katakuri. Oven orders them to attack, when Sanji makes a move he is confronted by Snack. Luffy recalls fighting the enraged army after defeating Cracker and how tired & hungry he was that he couldn’t even use CoC. Sanji and Luffy are surrounded & both use CoC and knock out most of the enemies surrounding them. Bege’s group finally reaches Fluffy Island, they leave the cake on the shore and Bege pulls out his last KX Launcher he had asked Caesar to make just in case. Sunny Group arrives at CoO island but notice the fleet surrounding the island is being attacked by Germa Soldiers. Luffy is covering Katakuri’s mouth and Sanji’s fighting most of their attackers, he’s knocked most of them down. Ichiji, Niji, Yonji and Reju arrive and they defeat the remaining enemies, Sanji uses the same attacked he used on Luffy to knock down Snack. Before Perospero can catch up, BM starts eating the cake and the more she eats the hungrier she gets, Perospero and Bavarois try to stop her from eating and they both get eaten. Bege & the rest of her crew are shocked, BM faints after she’s done eating and scraps her knee which starts bleeding, Bege fires the last KX Launcher and it connects. The Sun Pirates joined the Germa Army and both defeat the surrounding fleet. The Luffy leaves Katakuri to Pudding and head for the Sunny which is at shore. Luffy congratulates them for reaching the island, Oven manages to recover and tries to impale Luffy, Jinbe jumps in front of him and completely knocks him out. Jinbe: I won’t let a coward like you, hurt my captain. The sun pirates witness this. Jinbe: Luffy if your offer is still on the table, I’d like to join your crew as your helmsman. Luffy smiles and welcomes him to his crew with everyone cheering. The Sun Pirates(led by Aladin) and Germa(led by Ichiji) offer to become subordinate crews. Luffy declares this as their victory tells them to set sail. Katakuri falls “forward” at first and after he talked with Luffy, he falls “backwards” as seen in the pic. According to Mont-d’Or, even if Pirate King Roger gets out of that mirror, he wouldn’t be able to escape from them. so sanji won’t be the one to defeat katakuri? I am not sure that you would like it though, since all of it falls under romance genre, but art and the comedy should be good enough, just give it a try. There was that other H-series you also recommended. Can’t recall the name lol But yeah i’ll try these some time. Bookmarked. Oven says that the possibility of Kata losing is zero, mentions the possibility of Brulee being captured and Luffy using her to escape and get out of the mirror. Sanji makes a carefree smile when he tells Pudding he’s glad she was his fiancee and she cries, her face parallels Sanji’s expression when he was crying outside her window. Luffy’s attack hits Katakuri and he coughs blood, Luffy avoids Katakuri’s attack. He stares at Katakuri who is releasing an attack, but G4 runs out and Luffy faints. Montdor says not even Roger could escape this. When Luffy wakes up, he sees Katakuri making an imposing stance. As things are going at the moment, the most likely scenario is that Luffy will simply escape with Sanji and reunite with the others and get the hell out of there. The intention to avoid battle is again directly said by Luffy. So probably no Sanji vs Snack battle or any other, maybe just some quick exchanges. 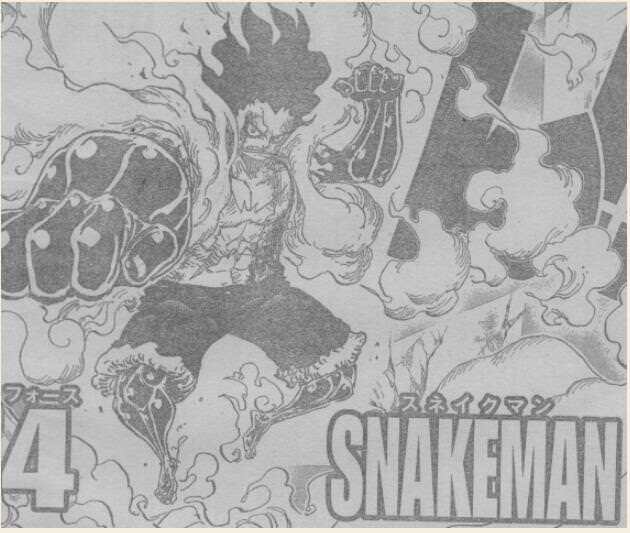 BM pirates will probably have to focus on Big Mom herself since she is going to be the main event after getting to the cake and also the Germa which are on their way to intercept Smoothie probably ( thus leaving the SH an escape chance ). Does it mean that Sanji and Pudding officially married? At this point Luffy has made the world realise that he is ready to face the Emperors. but is he ready to solo an emperor? Against Dolfamingo he needed Law’s help and against Katakuri he needed flampe’s help.